100 McAllister Street is a residential apartment tower located in San Francisco, California, owned and operated by the University of California, Hastings College of the Law. 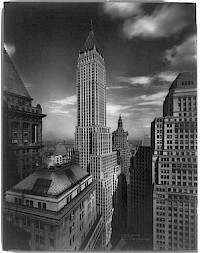 It includes mixed-use offices on various floors, and on the 24th floor, San Francisco's first cocktail lounge with a panoramic view: the Art Deco-style "Sky Room". Conceived as an unusual combination of a large church surmounted by a hotel, construction of the building brought architectural dispute. 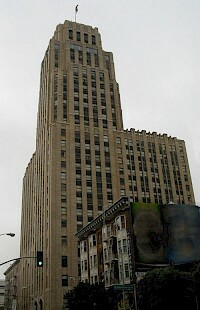 Carew Tower is the second tallest building in Cincinnati, Ohio, United States. It stands 49 stories tall in the heart of downtown, overlooking the Ohio River waterfront, and is a National Historic Landmark. It contains the Hilton Cincinnati Netherland Plaza (formerly the Omni Netherland Plaza). Fenn Tower is a 22-story skyscraper in Cleveland, Ohio. It is owned by Cleveland State University. It was built for the National Town and Country Club, but was only used for one event before closing. It was originally known as the National Town and Country Club before being sold. It was purchased by Fenn College in 1937. It is currently being used as student housing. 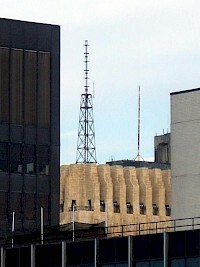 It is the second tallest structure on the Cleveland State campus, second only to Rhodes Tower. 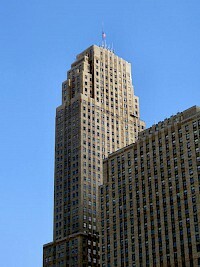 The First National Building is an skycraper and class-A office center in downtown Detroit, Michigan. Completed in 1930, the structure rises 25 stories and includes two basement levels, occupying an entire block along Cadillac Square (adjacent to Campus Martius Park). 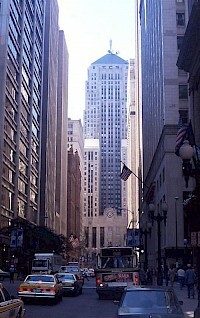 Located withom the Detroit Financial District, the tower's main uses are for offices and retail. It was constructed primarily with limestone. 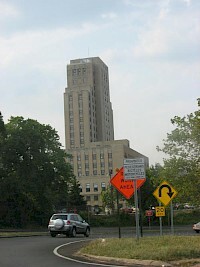 The building was designed by Albert Kahn in the Neoclassical architectural style. 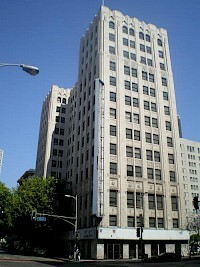 The thirteen story Art Deco style Garfield Building is a U.S. historic structure in Los Angeles, California. 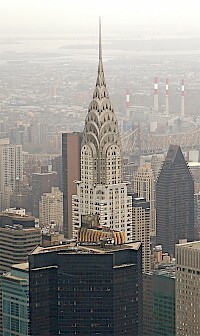 Designed by American architect Claud Beelman, construction lasted from 1928-30. It is listed on the National Register of Historic Places. In addition to the detailed ornamentation around the street-level entry way, The Garfield Building has an art deco lobby. It was a working office building for many years but it's empty now.